A powerful Backup segment that allow taking secured backup of Exchange database along with various choices for backup customization. Full backup option is capable of taking complete backup of an entire or a specified Storage Groups/Mailbox Stores along with the associated transaction logs. Further, after selecting backup option you will be prompted to choose a destination path to save the final backup files. Here you can select either Local or Network drive, or a FTP Location. Incremental backup is a much better choice to initiate backup, as it stores the changes of the data against the last backup along with full backup. Such type of backup data includes only all transaction log files up to the current time.This option creates a full backup first, and then followsit by incremental backup. Full Backup followed by Incremental Backup (Commit Logs) is another option of this Exchange backup utility. Just like its name, this option is quite similar to the Full Backup followed by Incremental Backup. The only difference is; it deletes the transaction logs from the Exchange Server locationafter a successful backup of the corresponding Exchange Storage Group/Mailbox Storage. This software supports FTP Server, hard disk, or network storage modes to save backed up data. You just need to choose a mode of storage and the software prompts you the relevant options. In case of local drive; select a source with appropriate space and store the backup. On the other hand while connecting to a networked storage source, it requires login information to access the network share. 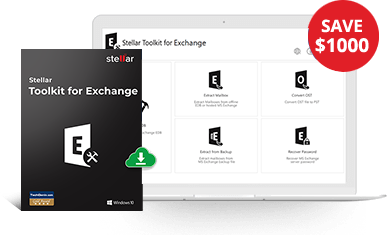 This efficient MS Exchange backup utility facilitates you to run schedulers to reflect your Full Backup. This option is available only for Incremental Backup options. You can schedule your backup once, every hour, every day, every week or every month at a specified time and day. Additionally, you can also mention a specific date and timeto initiate the backup to run the backup process regularly. Consolidation is a very important and convenient option for those users who have limited space and need to delete old backup files regularly. In consolidation mode the software combines a full backup and incremental backups into a single backup to save the space. This single option facilitates multiple choices where you can define the retention period of the backup for consolidation or consolidate the backup over the weekend. The consolidation process will start automatically according to your given settings. Additionally, you can also set 'No Consolidation' option in case you do not wish to consolidate the backups. You can choose a selector to get the notification of a successful or a failed backup job along with all the details such as finish time, and destination. You can also get e-mail notification, by specifying the sender and recipient e-mail ID. Additionally, this option avail you the facility to add multiple e-mail addresses in the Recipient field.